Yesterday I got to attend my first MeasureCamp in San Francisco. The “Unconference” format was a lot of fun, and there were some fantastic presentations and discussions. 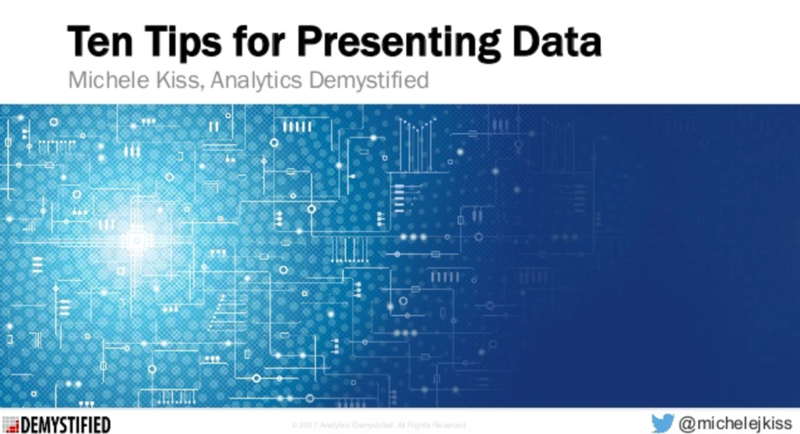 For those who requested it, my presentation on Data Visualization is now up on SlideShare. Please leave any questions or comments below! Thanks to those who attended. Thanks so much for the heads up! I actually posted a newer, updated version, so I will update the link. I appreciate it!